Published on September 14, 2012	. 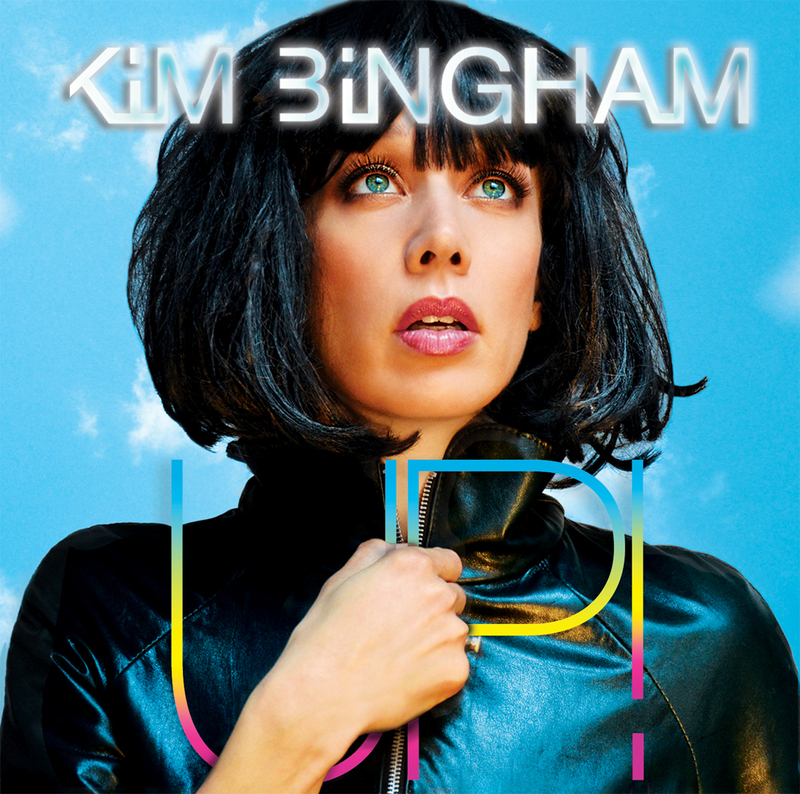 Solo artist Kim Bingham is moving on Up! MONTREAL – When it comes to persistent creative itchiness, refreshing conversational candour and an all-inclusive approach to making music, Kim Bingham strongly recalls another proud and powerful musical Montrealer: former Hole/Smashing Pumpkins bassist Melissa Auf der Maur. The two share commonalities – not the least of which is the ability to wring attention out of men like water from wet socks – including one in particular that’s outright uncanny. Proof again that God is Irish. Here, in this highly charged entertainment incubator, Bingham began her growth into the confident onstage performer – and impassioned, dynamic pop-rock vocalist – she is today. By 1994, Bingham had moved to Vancouver for love, and there she conceived Mudgirl, her first solo endeavour, releasing the five-song First Book EP in 1995. Four years and much in the way of critical acclaim later, Mudgirl evolved into The Kim Band, a volumized version of Mudgirl, as evidenced on the 2001 full-length Girlology, but a project that still adhered to the precepts of pop. “I just naturally write pop-rock music. I don’t know where that comes from. Well, yes and no. 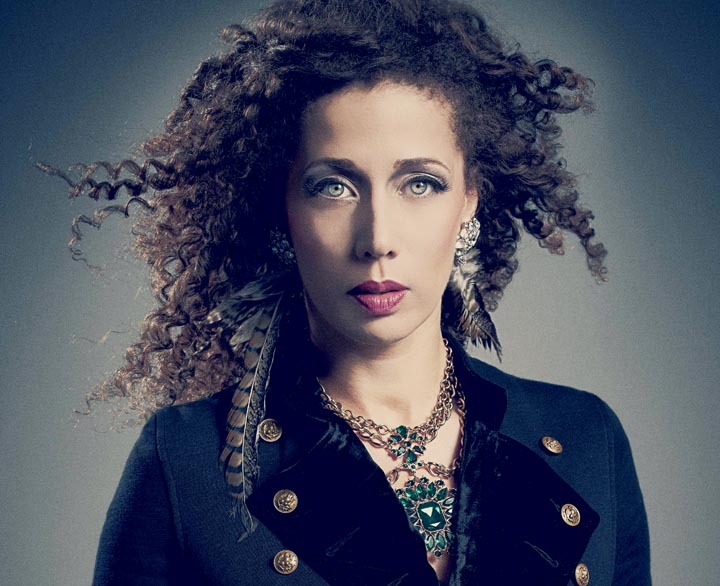 In 2007 she had two albums come out: the French-language, soft-pop solo album Intermède, released simply as Kim Bingham, and the soundtrack for Quebec TV show Les Invincibles. In an achievement that’s almost more feather than cap, Bingham scored the music for three seasons of Les Invincibles, as well as two seasons of the European version shot in Paris, earning a Gémeaux Award for theme song The Hero’s Take in the process. Throughout it all Bingham had also been enjoying interest as a session player and touring musician (vocals and guitar) with some of the biggest Canadian names in the biz. These included David Usher (with whom she played for a year and a half), Nelly Furtado (which included performances on The Tonight Show with Jay Leno and the Late Show with David Letterman) and Bran Van 3000 (she contributed to the 2008 album Rosé and continues to perform with them). The aptly titled Up! is an exuberant musical animal with a well-defined summertime vibe (“It’s a record that goes well with sangria”), as demonstrated by the Creature-assisted dance track and first Quebec single Party Girl, the sunny and rambunctious title tune Up!, and rocking, heavier-ended party starter Sweet Irene. And the playlist goes on. In fact, there is something very familiar, and it turns out very deliberate, about the “programming” of the album, let’s say. From Me, Mom & Morgentaler through Mudgirl to The Kim Band and beyond, it’s a long and winding, star-filled and storied road that arrives at the Kim Bingham of today, an artist finally content to lend her name completely to her muse. “It was really just a matter of growing into my own skin and feeling comfortable in it,” she explains. “It was also the rock’n’roll game in the sense that it’s just fun and kind of glamorous to put on an identity, y’know? Like Lady Gaga as opposed to Stephanie whatever … When you think of yourself or what you’re doing as something more conceptual, sometimes it gives you this freedom and liberty that separates you from the ordinary day with all its ordinary stuff. Spoken like a true music lifer.